Sciatica Treatment Mississauga is available at all of our PhysioNow Mississauga Clinics, www.physionow.ca. Sciatica refers to back pain caused by an inflammation with the sciatic nerve. This is a large nerve that runs from the lower back down the back of each leg. When something irritates or puts pressure on the sciatic nerve, it can cause pain in the lower back that spreads to the hip, buttocks, and leg. 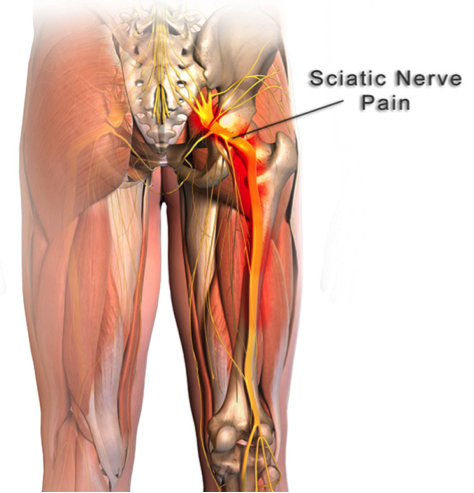 Sciatic Treatment Mississauga involves treatments that focus on prevention and management of injuries or disabilities. Sciatica Treatment Mississauga helps to relieve pain, promote healing, and restore function and movement. Overall, Sciatica is a very debilitating condition which can affect your activities of daily living. Sciatica Treatment Missisauga at PhysioNow Mississauga consists of treatment from excellent registered physiotherapists. These Registered Physiotherapists Mississauga can help you to overcome your sciatica problem and improve your quality of life. Call today to get started! 289-724-0448, or Check out our website www.physionow.ca/areas-of-injuries/low-back-pain-treatment.